I have been involved with dogs for most of my life having had 10 dogs of various breeds and sizes in the past 30 years. My introduction to dog obedience started in 2000 with the arrival of my first sheltie Timmy. Timmy and I started in dog agility but I quickly found that due to his timidity, this was not to be his favourite sport. I then started reading as many books I could find to help me change this dog of mine. I also started dog obedience classes at a local dog club and this took me into the competitive dog obedience world. Timmy and I won a few ribbons but to be truthful, he was happier watching rather than taking part. Then came Banjo, my second sheltie. He was the opposite in temperament which meant I had to find differing training techniques. So more books. I then joined up with a professional dog trainer who helped us along the path to the highest test and many more ribbons. Since then, I have also trained Esther and Harriet through to the highest obedience tests. These two shelties along with Banjo, are now retired from competition and enjoy a romp in the park and a sleep in the sun. 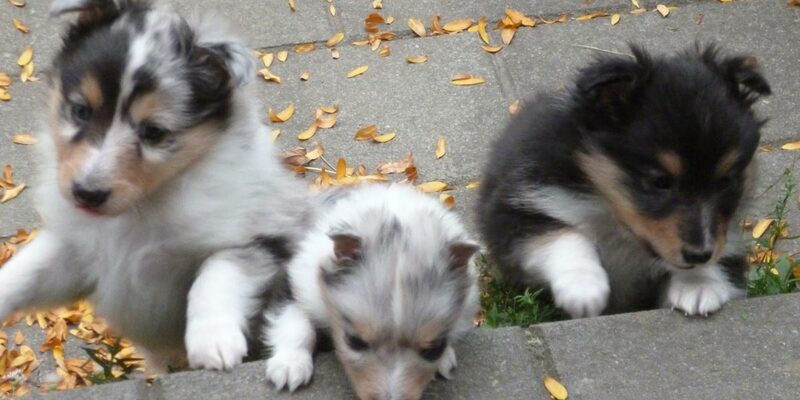 After a 16 year break, I have resumed agility with my two youngest shelties, Jemima and Dorothy. As you can imagine, this sport is quite different from years ago and now requires a very fit handler, both physically and mentally. It is a lot of fun keeping up with my dogs racing around a course. I have been involved in local dog obedience and agility clubs for many years, serving on committees and providing training expertise. Prior to starting my own puppy training school, I worked as a dog trainer on a part-time basis for a professional dog trainer/behaviourist. After training over 120 dogs of which 95% were puppies, I have come to realise the merit in specialising in puppies and their families. If you train your puppy right from the start, and continue the training in the home, you will have a well-balanced dog who will be a joy to share your lives. I have been very fortunate to breed sheltie puppies from which I have kept Jemima and Dorothy. This has given me the opportunity to apply all the training skills I have developed over the years and enabled me to currently have five delightful, confident, smart and well-adjusted dogs. Together with raiding the library of all the dog books and Amazon purchases, I have attended many seminars and completed a number of courses. Most recent have been Susan Garrett’s Puppy Peaks, Mark Vette’s Dog Zen and Jane Killion’s Puppy Culture. I have also been fortunate to attend the two day workshop run by the talented Faye Rogers on Animal Communication and Healing.